42 Haxby Road is a beautifully presented “Mews” style home. 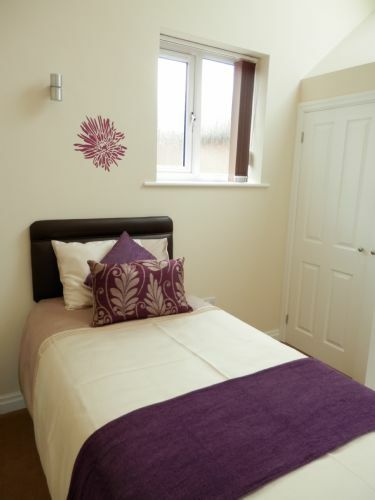 Ideally located being a five minute walk from Gillygate and the City Walls leading into York and all it has to offer. I will absolutely stay at 42 Haxby in future visits to York. Cozy and stylish facility with large kitchen to cook and enjoy meals. This is our third time staying at The Lightwell - and it absolutely brilliant for us. 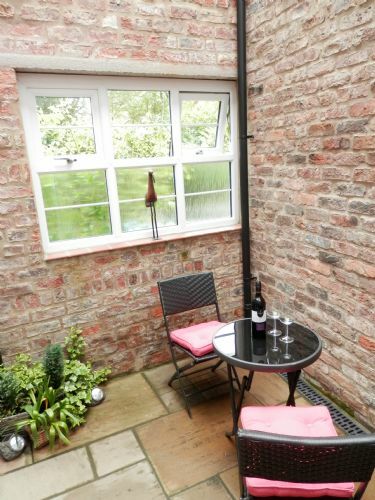 It is only a ten minute walk into the centre of York, has great parking and the Cottage is so lovely and comfortable with everything we needed - we would hate to stay anywhere else. Julie is the perfect host - thinks of everything and is so friendly and helpful. Just perfect. An excellent property close to the City centre with a very welcoming host. Everything needed for a lovely break. Thank you. We have stayed at the Lightwell for two consecutive years and will continue continue to use the Lightwell when holidaying in York. 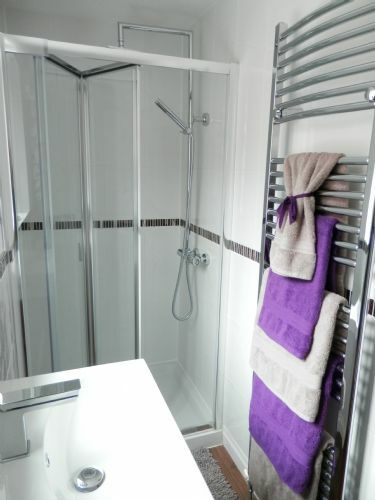 The Lightwell is of exceptional standard throughout, while the owner lives nearby and extremely helpful. There is parking on the drive for two cars which is a joy in York, so you can park up on arrival and enjoy the walks in and around the City. Thank you Julia and well done! 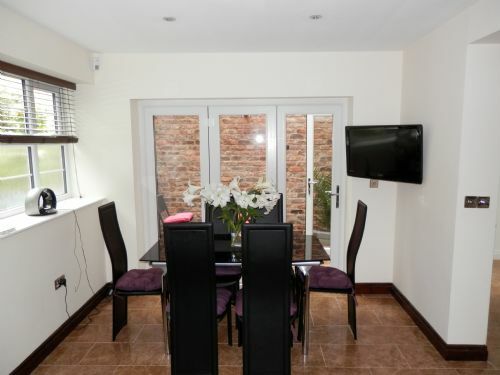 Location superb 7 minute walk into centre of Chester . 2nd time we have stayed here, and we will be doing so again!!!! A lovely clean modern property, 10-15mins walk in York. Highly recommended!!!!! The Light Well is heaven to me. Great location, with parking. Everything is squeaky clean: warm, welcoming and stylish. Love love love the spaciousness and comfort. Beautiful entrance way, stunning kitchen with lounge and dining area, gorgeous master suite, second bedroom and bathroom, lovely lounge: all is bright, airy and classy. Fluffy towels, comfy beds, every amenity one could desire for a relaxing haven. As for Julie, the owner: she is so friendly, warm and welcoming. Ever helpful and good-humoured, she adds extra touches and treats to make guests feel special and pampered. In my mind's eye, The Light Well symbolises style, peace, tranquility and everything I could desire for a perfect city break. We have visited many many times, and know whereof we speak! The Lightwell was a fantastic home away from home for our holiday in York. It was easy to find with Parking for two cars (probably a third if you put one in the garage). The owner was very friendly and welcoming giving us lots of suggestions for things to do and places to go. The property itself was spotless and had everything we needed and ample space for us all; 2 kids (2 and 6) in one bedroom, we were in the other bedroom and my mum stayed on the sofa-bed in the lounge). Location was great with a short walk to Gilly Gate. There is loads to do in and around York and it was great to have the comfort of the Light Well after long days out. I can thoroughly recommend to anyone thinking of going to York. We had a great time in The Light Well. 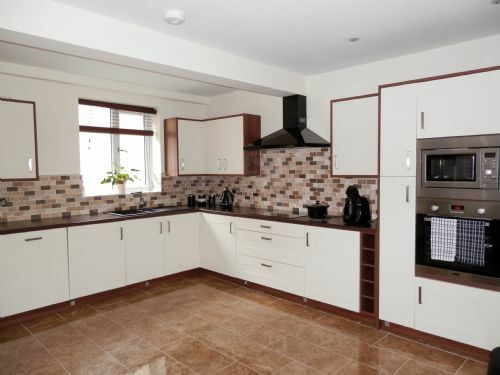 The holiday home is very clean, beautiful, cosy and very well- equipped. It is perfectly suitable for spending a lovely time in York. There are parking facilities right in front of the house. Anyway you do not really need a car as all sights are in walking distance. The house is very spacious which makes it perfect for families with children. There are even two beautiful bathrooms. The kitchen offers anything you need for a perfect breakfast or a meal but what might be a bit disturbing is that you cannot properly look out of the windows as the window glasses are half frosted. The house owner lives next door and she gave us a very warm welcome and showed us around the house. We can definitely recommend this excellent holiday home. Beautifully presented property in good location for exploring York. 42 Haxby road is a lovely property, beautifully presented and very clean, probably the best we have stayed in. We had a very comfortable stay there. Julie, the owner provides a warm welcome and had chocolates, wine and milk waiting! The house is very convenient for a walk into York and also for exploring other areas. Parking and a garage are a bonus. Would definitely recommend! From the moment we arrived we were made to feel most welcome. The Light Well has everyrhing you could wish for and more. It was ideally located and had plenty of room for 5 of us to spread out. I would recommend this luxury home from home to anyone. Lovely house, amenities, location etc. Just one constructive criticism; the pull out bed in the second bedroom is just no good. I'd suggest replacing it with a double or two regular single beds. Everything within the house was top quality from the heated tile on the ground level, through all fixtures in bathrooms/kitchen, washer/dryer, cooking implements, furnishings etc. The owner lived next door and was always attentive to our questions and needs. I highly recommend 42 Haxby Road. For us one huge advantage was the 2 bathrooms, one with full bath/shower and the other with a good sized shower. This is very rare in York rental properties and even more so at this rental cost . 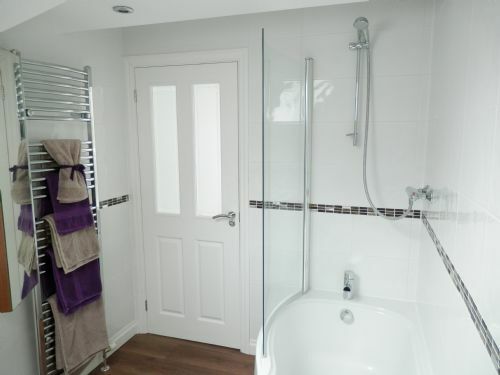 Nicely decorated flat with a big kitchen, completely equipped with everything you need for some nice days in York. Very clean and a parking lot directly in front of the building. This property is in an ideal location for a visit to York, easily in walking distance of all museums etc. Julie presents the house superbly, and meets people to welcome them. This is easily the best rental that we have used. for easy walking access into the centre of York. Highly recommended. A unique and very comfortable house right on edge of city centre. Warm cosy and very quiet. Very spacious and bright accomodation. Very friendly helpful owner. 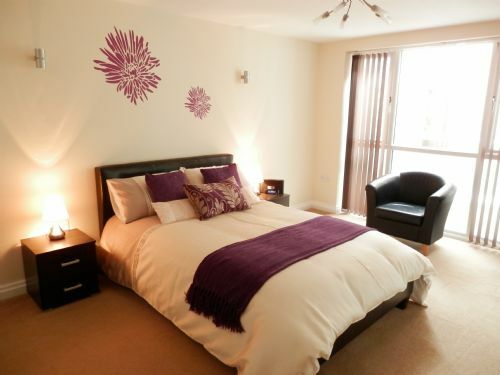 A beautiful, big and modern apartment in walking distance from the Minster and the City of York. Clean and with all the necessarities. The owner is a lovely lady living next door, she is kind and very flexible. I've stayed in this apartment two times and I would choose it again without doubt. The Light well is an intriguing building - unique and fascinating design. It is superbly appointed with quality fittings and fixtures including, vitally, very comfortable beds and sofas. It was a lovely base for our short stay in York. The Light Well proved to be an excellent choice of accommodation for our December weekend break in York. It is well located - 10 minutes walk to the City Centre - and has parking for 2 cars, which was a prerequisite for us, as our son, who is working in Leeds, was joining us for the weekend. We briefly met our very friendly landlady, who was heading to Paris for the weekend. We were delighted with the modern and spacious accommodation, which had every facility that you could require for a short city break. It is some time since we last visited York, which we again thoroughly enjoyed. Hopefully it won't be too long till we return, and we would be delighted to return to the Light Well. This was our 3rd visit to the property and it will not be our last! Cannot recommend highly enough from the quality of the accommodation to the warmth of the welcome. There's a big garage with electric door opener, but if you've brought your car you can leave it in there as it's about 10 minute walk to the walls, there are regular buses right into the heart of the city going past the door, there's are two parks just across the road, and a little strip of shops with takeaway Indian/Chinese and a Spar about 3 minutes away from the house for essentials. Even walking out to Monks Cross is only about 35 minutes at a brisk walk and you get the heady aroma of chocolate from the Rowntrees factory on the way. It's so peaceful and luxurious, and the cliche about the photos not doing it justice abound once you see it in person. Amazing and highly recommended. The Light Well is a lovely place, it is very clean, modern, light and comfortable. The photos don't do it justice. Its a shame we only stayed a few days! It is only a short walk to the centre of York. This has to be the best holiday home ever! I have absolutely no hesitation in recommending this house as a base when staying in York. We enjoyed York! This has to be the best holiday home ever! 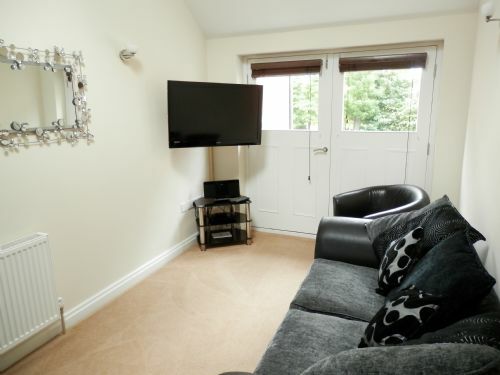 I have absolutely no hesitation in recommending this house as a base when staying in York. We had a great time. We thoroughly enjoyed our stay at The Light Well. We are 4 adults and we had 2 more visiting us at the house and sharing meals so the table and 6 chairs was ideal. The house was beautifully fitted out and comfortable and the light well was a very unusual feature that added to the experience. The only slight drawback we found is the parking. The good thing is there is space for 2 cars and you can even put one in the garage. So if you are exploring York you can leave the car behind and walk in to the city centre which is a huge plus. But it is a busy road and you need to reverse into the narrow parking space so that it is easier to set off again. This is a beautiful house in an ideal location. It was extremely comfortable and absolutley immaculate. We often spend a few days in York and I wouldn't consider staying anywhere else now. Amazing stay in such a beautiful property. High spec and immaculately clean. Met the needs of my family very well. Wonderful host who was very helpful. 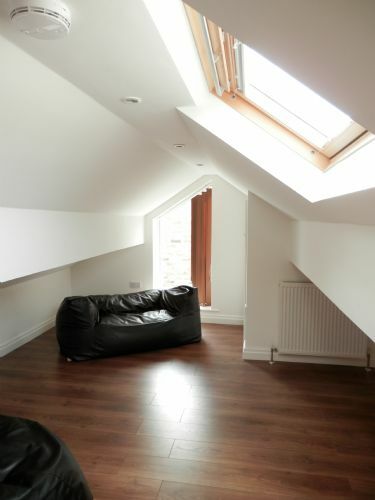 42 Haxby Road is an excellent place to stay in York. The owner made us feel so welcome as she showed us around the amazing property. Apart from the tap in the main bathroom being a bit wobbly, we could not fault it at all. Highly recommended! We needed a based for family over a long weekend for our sons wedding in York. This house suited our needs perfectly and we found Julie very helpful and accommodating. We would certainly recommend this house as a base for visiting York. This was our 2nd stay at the Light Well and we've already booked to return next year. The accommodation is probably the best self catering house that we've stayed in. It is spotlessly clean, warm and welcoming. Julie, the owner is very helpful but not intrusive. Great place. Would stay there again, and are happy to recommend it to friends and family. We feel so lucky we found this treasure of a place to stay on our visit to York. Nice and clean, very modern. 5 stars. A lovely place, run by a lovely lady. Fab location; quiet, warm and welcoming. A stylish, spacious and beautifully-appointed haven of peace. Everything squeaky-clean, and up to the highest standards. We couldn't ask for more; absolutely perfect.